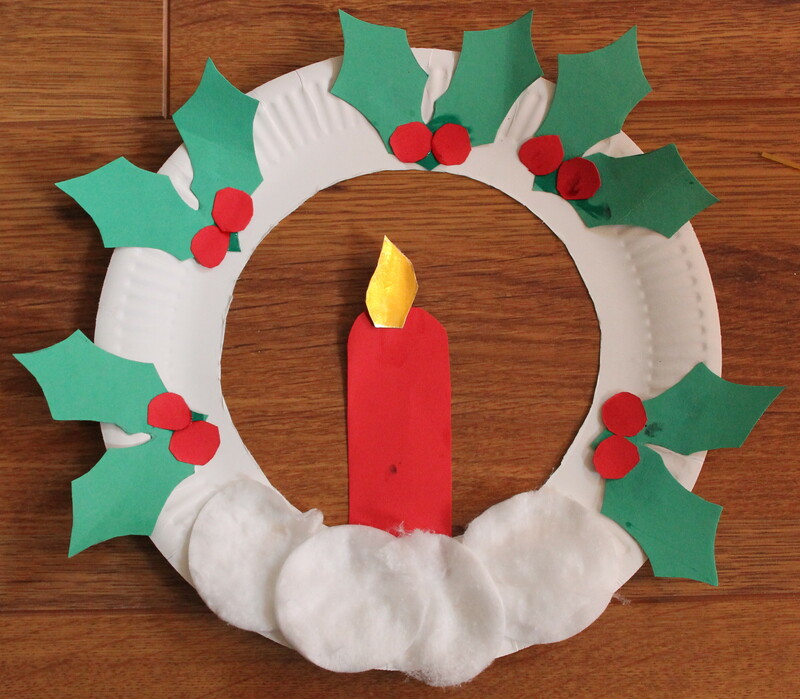 A few years ago I set up an invitation to create a wreath for my two girlies. I thought I would dust off the photos and share it with you today! I pre-cut the pieces an set them out on the tray. 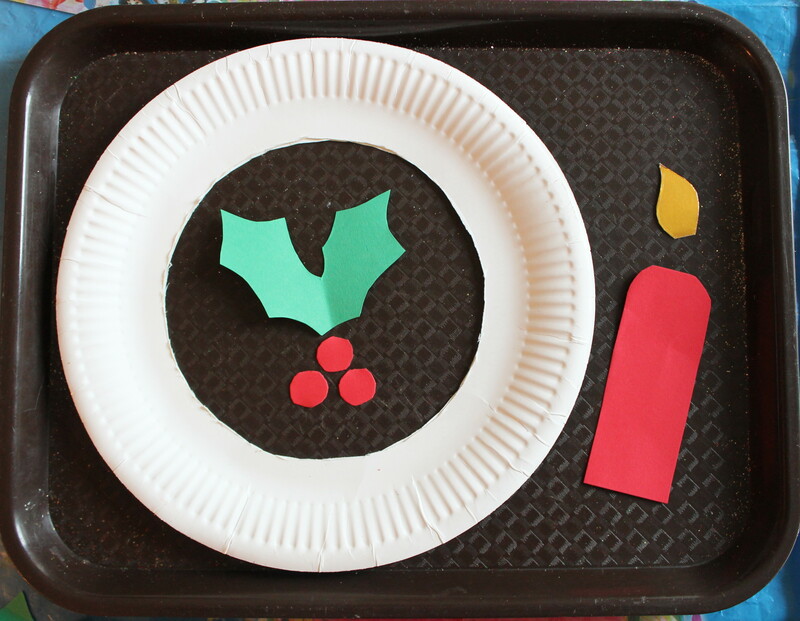 If you would like to do this activity you will need to cut out the leaves, berries, candle, flame and the inside of the paper plate. 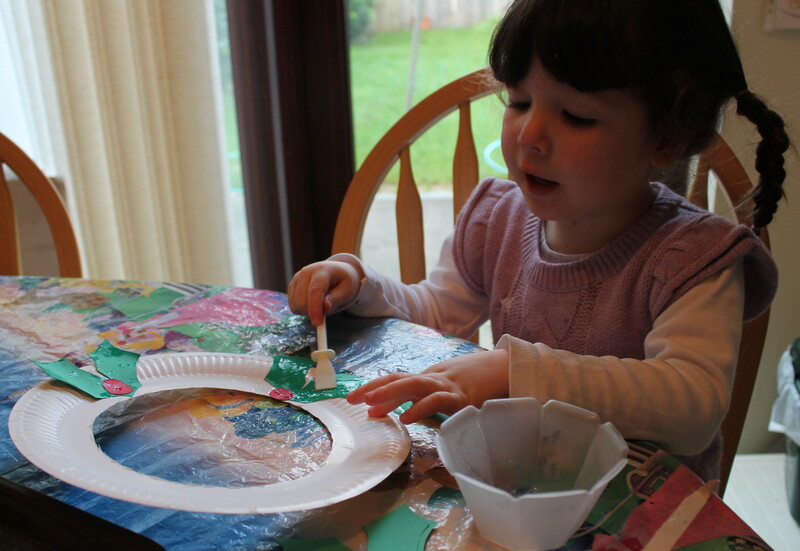 The girls then set about pasting on the pieces around the paper plate to make the wreath. We used good ol’ fashioned Elmer’s Glue but a glue stick or double sided tape would also work well. To finish it off the girls pulled apart cotton wool pads to add to the bottom of the wreath to make it look like snow.